Imitation means that a child copies what he sees and hears other people do and say. This “watch and do” process is how all of us learn just about anything. We pay attention while someone else does something and then we try it too. 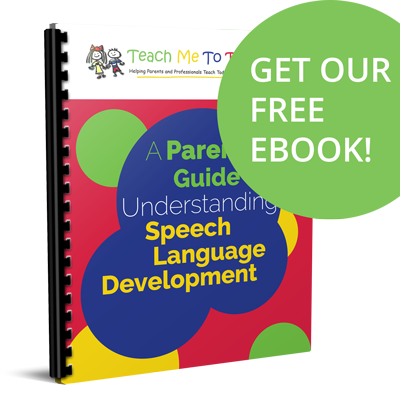 Language development is no exception. Although we’re primarily thinking about how a child learns to imitate words, the process of imitating does not begin at this level. Imitation begins very early, even in infancy. Newborns can imitate facial expressions. A baby who is only 3 or 4 months old may try to “coo” back when parents hold them close and talk to them. Infants in the second six months of life learn to imitate with objects, like holding their own bottles. From 9 to 12 months, babies learn to use simple toys—empty and fill a basket with small objects, stack blocks, or operate a Busy Box—after you’ve first shown them how to play. When Do Babies Begin to Imitate? Just before his first birthday, a toddler begins to copy gestures as he claps or holds up his arms during fun social games. Soon he begins to wave when he sees you wave or point at something interesting after you’ve pointed first. Toddlers also imitate your actions during everyday routines. For example, many little ones love to join in when you’re doing chores around the house and will fight for a turn with a dust cloth or vacuum. When Daddy is outside mowing the grass, you may see a child push one of his toys as if he’s cutting the grass too. A toddler may shake her finger at a naughty pet and vocalize loudly as if she’s “scolding” the animal, just like her mother does. A child may pick up a remote control, push the buttons, and then jabber away as if he’s talking to someone on the phone. At about that same time, toddlers begin to try to copy your words too. As you can see, imitation is a gradual process that’s a critical component of learning to talk. When a child doesn’t learn to imitate actions, he’s not going to be developmentally ready to imitate sounds and words. Imitation is so important that studies say we can look at how well a child imitates at 18 months and more accurately predict his or her language development at 36 months more than with any other factor. Targeting imitation skills should be a high priority for any toddler who isn’t talking. 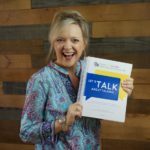 If learning to imitate is a child’s biggest need, check out the manual Building Verbal Imitation in Toddlers filled with the 8 levels of imitation and lots and lots of activities to teach a toddler to copy you – from actions to words to phrases. If you’re a therapist and would like it in course format with CEUs (and therapy videos! 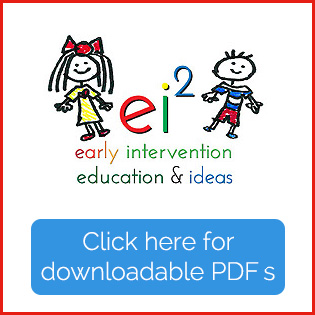 ), get Steps to Building Verbal Imitation in Toddlers.